The 7th Summit of the Americas is just around the corner, and public attention will be focused on U.S. President Barack Obama, who will carry a huge diplomatic success under his arm: a tentative agreement (along with other world powers) with Iran regarding its nuclear program. Before heading to Panama City for the Summit, Obama is traveling to Jamaica to meet the leaders of the Caribbean Community (CARICOM). For what purpose? Mostly to offer those countries “energy security,” something we were supposed to be taking care of. Is the U.S. seizing the opportunity to regain influence in the Caribbean? The answer is likely yes, thanks to both the drastic fall in oil prices and the economic crisis in Venezuela, which is causing PetroCaribe to shake in its foundations. But if you think that Nicolás Maduro is going to stand idle during all of this, you’re pretty mistaken. Last week, the central government reinforced several agreements with Antigua & Barbuda, including not only oil shipments but free medical attention for those islands’ inhabitants. At the same time, Venezuela gave a check for $16 million to St. Kitts & Nevis to compensate former local sugar workers. In the PR front, there were recent public acts of support in Dominica and St. Lucia. And let’s not forget Maduro’s recent visit to Trinidad and Tobago, in which PM Kamla Persad-Bissessar announced an “oil-for-toilet-paper” plan (or as CC’s Raul Stolk has coined is, “the Cornholio initiative”). In spite of Venezuela’s near-bankruptcy, a recent report from Barclay’s still puts Petrocaribe shipments at 200,000 barrels per day, worth around $8.000.000 daily ($2.9 billion per year!). This is a huge figure still, but it’s down from an even greater amount. Even if their cash flow has suffered heavily in recent months, the central government refuses to reduce their spending diplomacy drive in the region. They simply can’t afford losing their sphere of influence. It’s no big deal for them to gave away money for healthcare abroad when our hospitals are flat-lining. But that policy could still clash with their strategic national security issues. Enter the case of our neighbor Guyana and a humid, mosquito-infested little thing called the Esequibo. Last month, ExxonMobil started to explore for oil in the Esequibo waters. This is something that the Maduro administration isn’t too happy about, given the territory’s “disputed” status. The day before oil exploration began, Guyana’s Foreign Minister Carolyn Rodrigues-Birkett announced that the country is opting out of the UN’s Good Offices process regarding the resolution of the Esequibo claim, considering that it hasn’t achieved any meaningful results in more than 20 years. She claimed her country wanted to explore other options at its disposal. According to former Guyanese ambassador in Venezuela Odeen Ishmael, Georgetown wants to use the judicial road (which probably means going to the International Court of Justice in The Hague) to settle the issue. Caracas isn’t comfortable with that, as the chances of succeeding in The Hague are small. 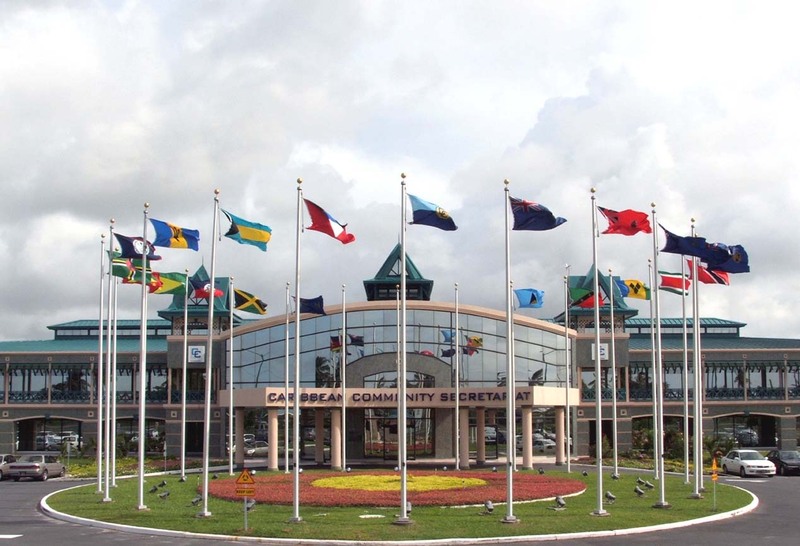 What’s the full position of CARICOM on the matter? The Caribbean Community reiterates its firm, long-standing and continued support for the maintenance of the sovereignty and territorial integrity of Guyana and for the unhindered economic and social development of all of Guyana. In this regard, the Community, once again, expresses its hope for an early resolution of the controversy which has arisen as a result of Venezuela’s contention that the Arbitral award of 1899, which definitively settled the boundary between the two countries, is null and void. In other words: the Esequibo belongs to Guyana, the 1899 Treaty settled the issue, and Venezuela has been throwing a hissy fit for the last forty years or so. Accept it. Deal with it. Move on. And if you don’t, Guyana will take you to The Hague, and there ain’t no bozal de arepa you can give us that will make us change our minds. Therein lies Maduro’s dilemma: either keep current political and economical ally Guyana happy and not alienate the CARICOM at large … or risking going down in history as the president who lost the Esequibo forever and ever, something completely incompatible with the uber-patriotic line of action the central government is using for almost everything. In the end, the Caribbean is just another geo-political chessboard and both the U.S. and Venezuela are still playing. And guess what? It seems we have the losing card.